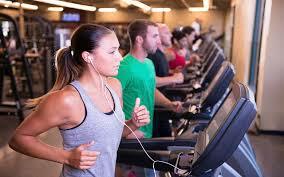 Most people think that they can lose weight just by counting calories and following a workout program. In reality, it is not always that simple. Even after trying different things, you may still be asking yourself why. So many factors go into determining the number of pounds you shed every week or every month. Things you do throughout the day will also affect how quickly you manage to lose weight. Let's find out more about it. Even when you do the basics right, there may still be some little habits sabotaging your weight loss efforts. 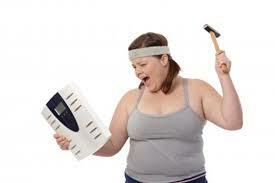 Here are some possible explanations to why you find it difficult to lose weight. A common misconception is that you should start eating less and less to lose weight, but that is not always true. Everything will suffer once your body gets in the starvation mode. It is never a good idea to slash hundreds of calories quickly and skip meals to lose weight. It is not good for your health, and you just cannot follow one such diet plan that makes you feel hungry all the time. This will eventually lead to overeating and you will fail to achieve your get-fit goals. Even if you are eating enough, you may still find it difficult to lose weight because you are following an ineffective diet plan. Your diet should consist of 30% carbohydrates, 40% protein, and 30% healthy fat. If you do not eat all the right things to get enough protein, carbs, and fat, it will become difficult to lose weight. Similarly, your weight loss efforts will suffer if you are eating too much of good things. For instance, avocados, nuts, olive oil, whole-wheat pasta, and dark chocolate are all good sources of healthy fat and carbs, but eating too much of these foods would increase your caloric intake. In fact, if you eat an entire avocado, you will get more than 200 calories. Therefore, you should watch your serving size when deciding what to eat. Why am I not losing weight? 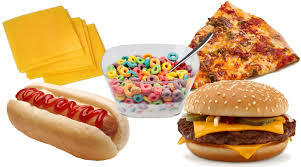 One possible explanation could be that you do not include an entire food group in your diet, which eventually leads to a nutritional deficiency. This might lead to major cravings and hurt you eventually. Therefore, it is better to opt for whole grains instead of leaving out carbs. Portion control is more important here. Veggies are a great source of fiber and fiber helps keep your digestive system working fine. When your body can digest food properly, you are less likely to gain fat around your waist. Moreover, fiber keeps you full and prevents hunger pangs. This really helps people who have issues dealing with overeating. 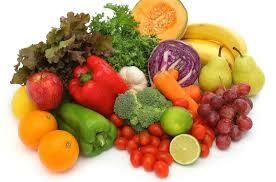 If you do not have enough vegetables in your diet, you may find it very difficult to lose weight consistently. Along with paying attention to your caloric intake, it is equally important to stay active and follow a good exercise program. You can certainly lose some weight in the beginning simply by tweaking your diet, but you will eventually hit a wall unless you back your efforts with a good exercise program. Keep in mind that it is not enough to do some physical activity to lose weight, but you have to exercise enough to maintain that caloric deficit. Experts believe that you should spend at least 150 minutes/week exercising, but how intense the workout is will determine the results you get. Moreover, you should be changing your workout routine after some time because your body can quickly adapt to your workouts and stop producing results. Therefore, it is a good idea to mix things up and challenge your body with cardio and strength training as well. Why am I not losing weight? It could be due to your cardio. Cardiovascular training is important because it improves metabolism and keeps your cardiovascular system working properly. However, you may stop losing weight after some time if your focus is on cardio alone. Moreover, you are not going to get good results simply by doing longer cardio sessions because it can actually reduce lean muscle mass, which is important for keeping your metabolic rate high. Your body may also start to store energy as fat to help you run those long miles. This is when you have to plan accordingly and know how much exercise is enough. It means that exercising on an empty stomach can keep you from losing weight because you are likely to burn muscle than fat. Over time, your muscle mass will reduce and you will no longer be burning fat while at rest. Therefore, it is important that you do not work on an empty stomach and eat good stuff to fuel your workouts. Eating right is important, but you also need to burn calories through exercise. The problem is that some people just do not know how many calories they burn during each workout session. Just when they feel tired and sweaty, they think they have burned enough calories. If you overestimate the number of calories you burn in your workout session, you may end up hitting a wall while trying to lose weight. When you exercise hard, it is important to stay hydrated. This is when you have to increase your intake of water. It is also important to drink more water because it helps improve your metabolism and makes you feel fuller. This prevents overeating and facilitates weight loss. You can increase your metabolic rate simply by including cool water in your routine. Be sure to replace sugary drinks with plain water to help cut your caloric intake. After all the hard work you do in the gym, it is important to give your body ample time to recover. 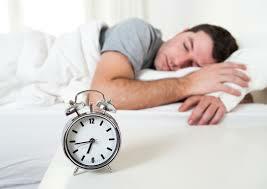 Your body releases certain hormones during sleep that build muscles and burn fat at the same time. Growth hormones also help reach your fitness goals. Therefore, it is important to get 7-9 hours of sleep every night to continue getting good results from your weight loss efforts. Why am I not losing weight? Your stress may be to blame. 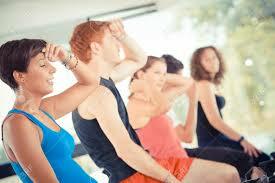 Too much stress, whether in the form of exercise or something else, can cause serious complications. Your body will be under too much stress if you do not give it time to recover. Your body releases cortisol when you exercise, but too much of this stress hormone can lead to accumulation of fat around waist and other areas. A stressful professional or personal life is only going to make matters worse. So, manage stress better to continue losing weight. Do You Weigh More After a Workout?